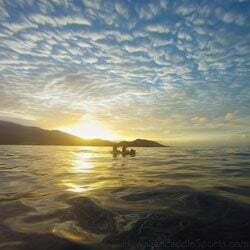 For those of you craving the sights, sounds and experiences of Hawaiian life, the water is a great place to start. 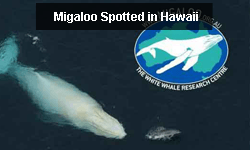 Why else would you travel thousands of miles to a rock in the middle of the Pacific Ocean, right?! 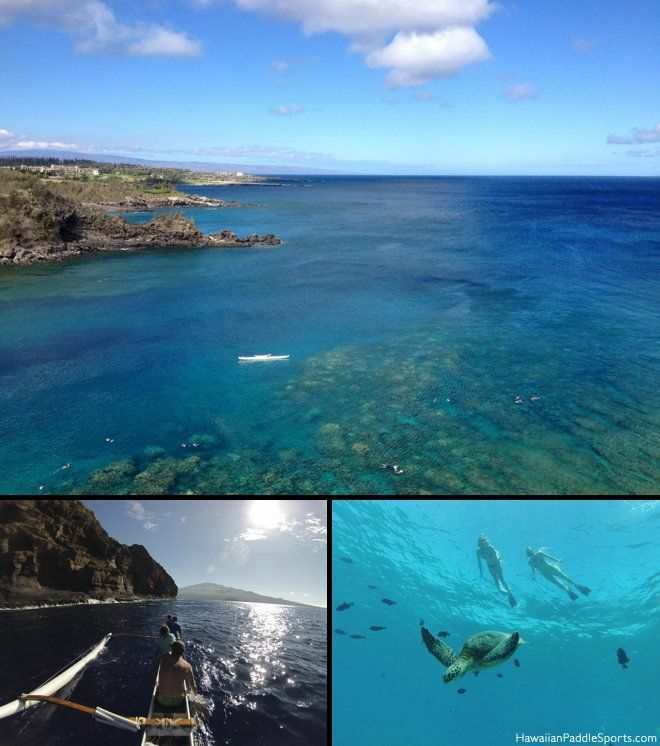 Although you may or may not consider yourself a natural in the water, there are plenty of ways to safely experience the best of Maui, both above and below the surface. If you plan on traveling to Maui between December and May, you’re in for a special treat. 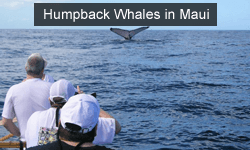 Every year, an estimated 12,000 humpback whales swim over 3,000 miles from the gulf of Alaska to Hawaii to breed, calve and nurse their young in the warm, shallow waters around Hawaii. 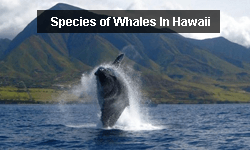 Kohola, or humpback whales, have been protected as an endangered species since 1966 and are treated with great respect as aumakua, or family guardians, among the people of Hawaii. 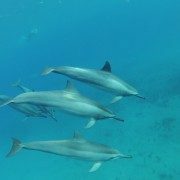 One of the best places in the world to see these majestic creatures is the Auau Channel, a shallow area between West Maui, Lana’i and Molokai, and we happily offer kayak, outrigger canoe and SUP tours to offer you the best views of these amazing animals, free of crowded boats and loud engines. 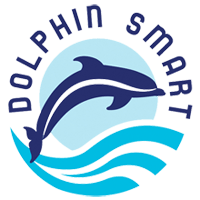 Read more about our variety of water activities to see which suits your fancy. 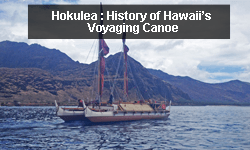 In ancient times, native Hawaiians built outrigger canoes or wa`a for a variety of purposes, including fishing, voyaging and general transportation. The banana-like shape of the canoe and addition of the ama (outrigger stabilizer) was useful for surfing waves and increased maneuverability. Ali’i, or royalty, were given longer canoes and often raced each other for entertainment, leading to the still-popular sport of outrigger canoe racing. 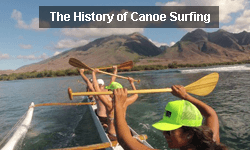 Hawaiian historian Herb Kane says that the Wa’a, or outrigger canoe, “shaped the Hawaiian people physically, intellectually and spiritually as much as the Hawaiians shaped the logs that became their canoes.” The art of canoeing was born out of necessity and became a sport over time, and Hawaiians are world renowned for their skills in the ocean. 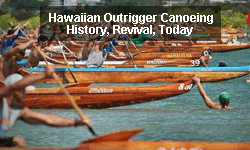 Today, outrigger canoes are an important element of Hawaiian culture, combining ancient practices with modern technology. Fiberglass, for instance, allows for more stability, making outrigger canoeing a perfect activity for the whole family. 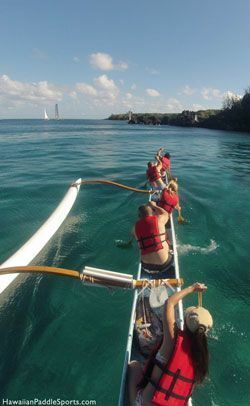 While we do offer options for private Maui outrigger canoe tours, we find it’s more enjoyable for everyone when all seats are full. 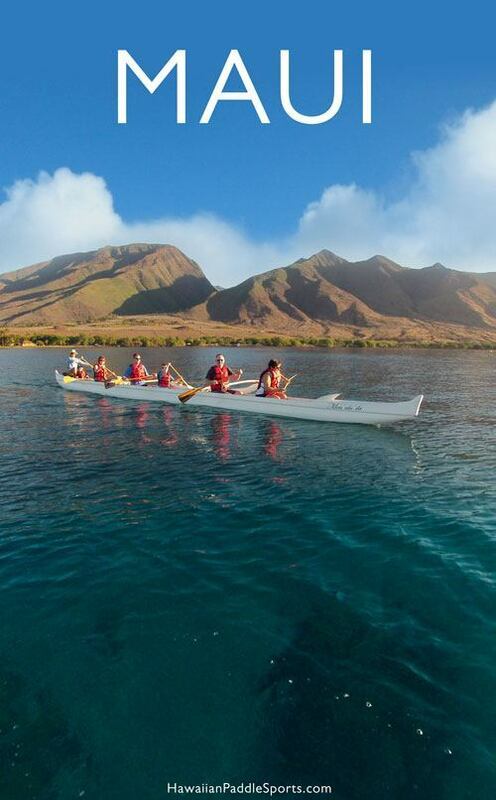 Our 45 foot long Hawaiian Outrigger canoe seats 6 people and takes you to the best spots in Maui, including South Maui’s Turtle Town, West Maui’s Coral Gardens, Honolua Bay and, if you’re up for a challenge, the beautiful Molokini Crater. Kayaking first originated in the arctic tribes of North America, where whale bone and fat were used to shape the boat and keep it waterproof. 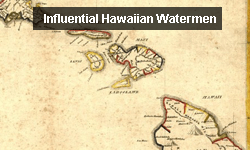 Since islanders have long been masters of navigating the ocean, it’s not a stretch to say that kayaking came naturally as a popular water sport in Hawaii. 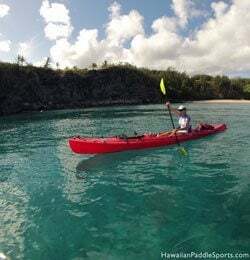 If you’re looking for a more low key adventure, consider taking a Maui kayak tour, which is very simple to navigate and almost impossible to tip over. 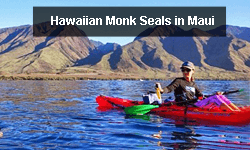 Whether you’re the type who wants to paddle as fast as possible to see the beautiful Maui shoreline or cruise on a more relaxing, calm tour to see the sea turtles and underwater beauty, the perk of private tours is that you get to choose! No matter what you prefer, our knowledgeable and helpful guides will make sure you set the pace while they lead the way. Surfing is one of the oldest practiced sports in history and richly engrained with the Hawaiian culture. 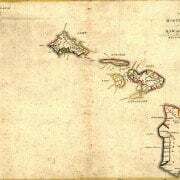 Captain King, who traveled to the Hawaiian islands with Captain James Cook, first recorded surfing in his journal in 1779. ” Twenty or thirty of the natives, taking each a long narrow board, rounded at the ends, set out together from the shore. The first wave they meet, they plunge under, and suffering it to roll over them, rise again beyond it, and make the best of their way, by swimming, out into the sea… their first object is to place themselves on the summit of the largest surge, by which they are driven along with amazing rapidity toward the shore. The boldness and address, with which we saw them perform these difficult and dangerous maneuvers, was altogether astonishing, and is scarcely to be credited.” Ancient Hawaiian chiefs often used surfing and outrigger canoe racing to maintain their strength, dominance and position of power over their people. Their boards often reached over 16 feet in length and weighed close to 200 pounds. Whoa! Today, surfing in Hawaii is bigger than ever and has become a destination for big wave surfers from around the world. If you’ve never tried surfing, there’s no need to be afraid. It’s definitely an activity you should try at least once, and our team of surf instructors are always there to give you tips to make your first Maui surf lesson a success! 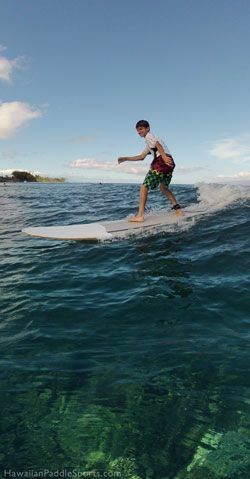 By offering private lessons, you’ll experience more one-on-one interaction that will have you riding waves in no time! In the 1940’s, surf instructors on Oahu would take paddles and stand up on their boards to get a better view of surfers, yelling hints to make them more successful and even riding a few waves themselves using the paddle to help in steering the board. 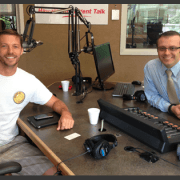 While stand up paddle boarding is a popular activity in many places across the world today, it was, until recently, a largely Hawaiian practice. In fact, as of 2008 the U.S. Coast Guard has classified SUP boards as vessels, much like canoes and kayaks. One of the most appealing things about modern stand up paddle boarding is the range of activities it can be used for, including surfing, racing, or pure recreation to get from point A to point B. SUP is a great workout and gives riders a great vantage point to spot some of Hawaii’s most beloved friends, from sea turtles to spinner dolphins to humpback whales. If you’ve never tried it, balance can be tricky at first, but practice makes perfect! 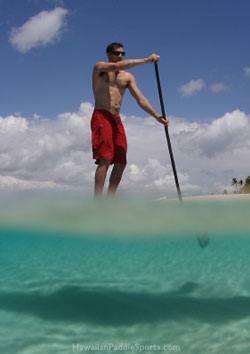 Our Maui SUP tours are guaranteed to get you paddling in no time. We have seen humpback whales swim directly beside SUP riders, giving them a once-in-a-lifetime opportunity to come face-to-face (or tail) with one of the world’s most amazing animals. 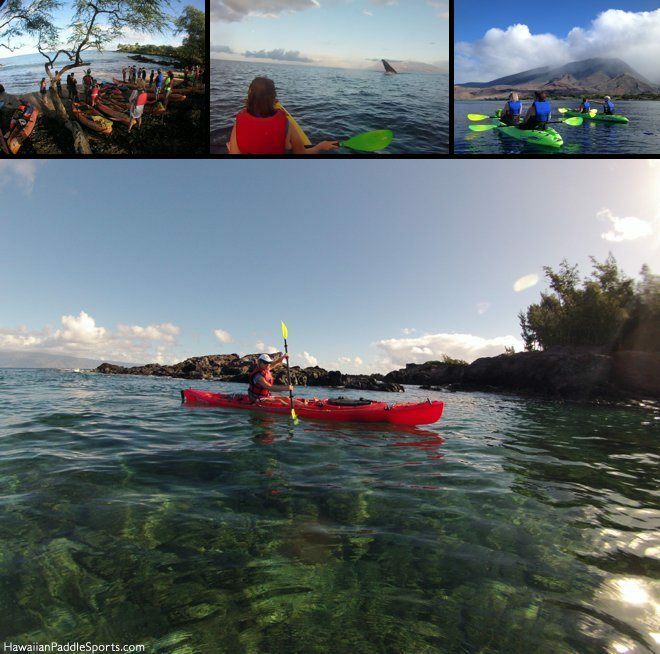 Whatever kind of adventure you’re looking for, Hawaiian Paddle Sports is here to help you make it everything you imaged. 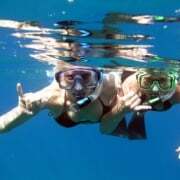 With private lessons and a strong commitment to Hawaiian values, we are here to make your experience unique, exciting, and memorable. 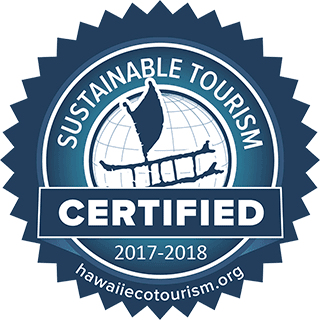 We are proud to be honored by the Hawaii Ecotourism Association for sustainable practices and are one of only 14 companies in the state to be certified as an “Ecotour Company”, which we do our best to practice by holding daily beach and reef cleanups, educating guests about the importance of marine environment and “going green” wherever we see the opportunity.